Growth in low price own label products has meant a strategy rethink for value added producers. Tissue World editor Helen Morris reports. César Augusto Solano Velandia, the general manager for Papeles Nacionales, is a very busy man. The company’s site is based in the outskirts of Cartago, and when TWM arrives we are immediately greeted by scorching temperatures – in which even the local Colombians are struggling – and Solano, who is welcoming and charming, and very apologetic. He has unplanned back-to-back meetings; would it be possible if we had our interview in a couple of hours? There’s no lack of things to explore and people to speak to in the interim, and TWM is given an in-depth tour of the company’s impressive site. Set in Valle del Cauca, Cartago is a town in southwestern Colombia 190 miles west of Bogotá. The mill is surrounded by a stunning landscape made up of rolling and vibrant green valleys and lakes. 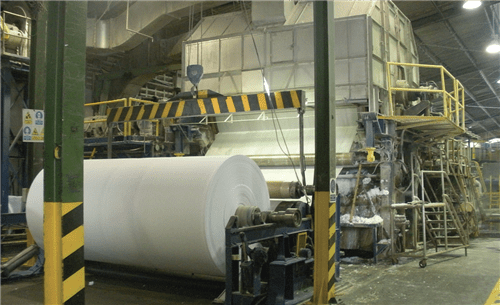 Founded in 1960 by a group of manufacturers from Risaralda in Colombia and Canadian fine paper businessman Gene Kruger, it started production in 1962. 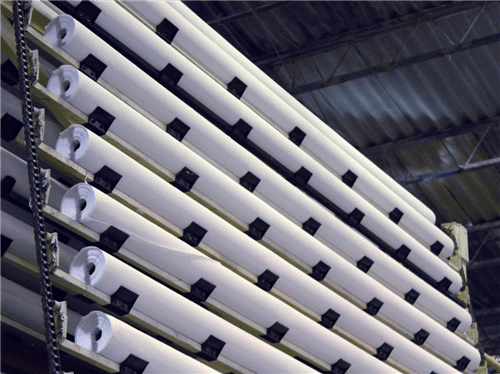 The facility now produces a wide range of products including bath tissues, paper napkins, industrial and kitchen paper towels, facial tissues and diapers, and it has two modern plants for deinking and bleaching, producing 65,000tpy of high quality tissue products. Following a tour of the site, Solano is ready to discuss the company’s developments. TWM/1 What’s the priority for Papeles Nacionales in the next couple of years? Are you seeing an increase in tissue demand in Colombia? “We will continue to expand our capacity in Colombia with the goal of following the growth of our clients. “In the case of toilet paper, penetration of this category is almost at 100% in Colombia. This growth is associated with an increase in that demographic. However, our growth is related to the growth of our customers. This is represented in the increase of hard discounter stores which generally have their own-label; these types of customers have demonstrated disruptive behaviour to the market and have grown exponentially in the past couple of years. “Other categories like napkins and kitchen towels have a high growth potential but thus far their penetration of the market has been very low. “In the case of AfH, the effect of the devaluation of the Colombian peso has had a positive effect on the growth of tourism, domestic and foreign. We are closely watching the accelerated growth in AfH products sold. Above: Papeles Nacionales is present in all segments of tissue; its sales correspond to 90% for consumer tissue and 10% in AfH. TWM/2 What tissue product sectors are you active in in Colombia? “Papeles Nacionales participates in all segments of tissue. Our sales correspond to a 90% increase to the consumer and approximately 10% in AfH. “The growth of the Hard Discounter format (represented by clients like D1, Ara, Jeronimo Martins, and Justo y Bueno among others) has accelerated the growth of the private market. The economic situation in Colombia has not improved and these retail environments have become more attractive to the consumer. TWM/3 Which tissue sectors are seeing the most growth in Colombia? “The largest private brands in Colombia have the hard discounter store format with the brand Rendy. Other relevant brands are in supermarket chains with the brand Exito, JBO and Olimpica among others. In the Club format the brand member selection and in the cash and carry format the brands Alkosto and Aro among others which represent around 22% of the market. TWM/4 How is the economy affecting the Colombian tissue market? TWM/5 Are you seeing much demand for environmentally-friendly tissue products? Above: Set in Valle del Cauca, Cartago, the plant produces bath tissues, paper napkins, industrial and kitchen paper towels, facial tissues and diapers. TWM/6 Are you exporting any products? TWM/7 What key trends are you seeing in the Colombian tissue market and what are the main opportunities for you? TWM/8 And what are the main challenges? Above: A small amount of production is exported to neighbouring countries. Share the post "Hard discounting is reshaping the Colombian market"